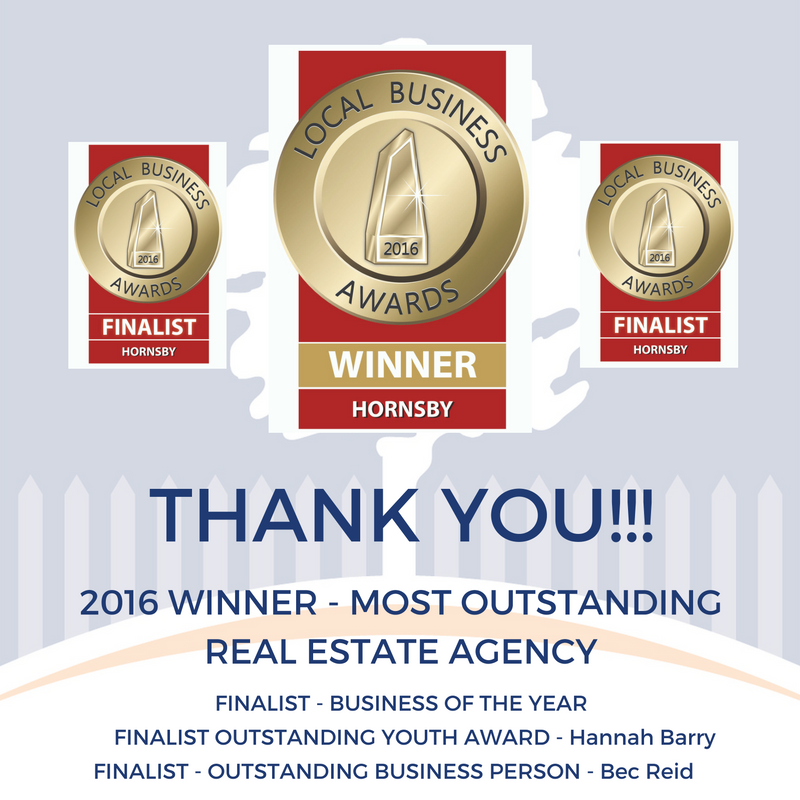 What a fun evening we had at the 2016 Hornsby Local Business Awards on Wednesday night. It’s an honour to be awarded the Most Outstanding Real Estate Agency for 2016, and we are so proud of our team and the incredible level of service they provide to our clients and customers. Each team member are a gift and we are so grateful to have them a part of our business family. We wish to extend our thanks once again to our wonderful clients and customers who nominated us.